Enjoy all-inclusive luxury alongside Exclusive Complimentary Perks when you book your travel to Canyon Ranch Tucson across WhataHotel!. Situated in the lush desert of the Southwest, your travel to this inspiring resort will prove to be stress free and filled with joy. A fresh perspective awaits in this magical setting, a setting that ensures an experience of exhilaration and healthy living. 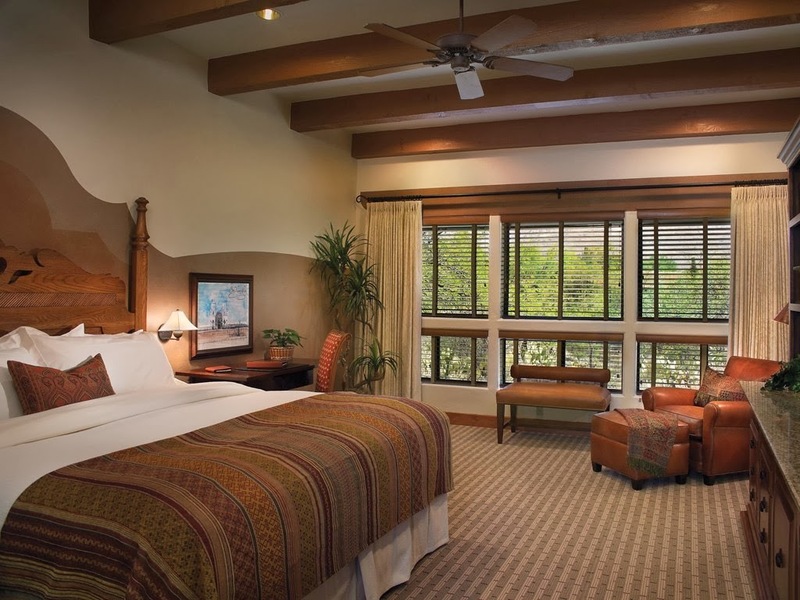 Canyon Ranch Tucson was built in harmony with the desert terrain that surrounds this resort. Guests will revel in their very own private retreat filled with aesthetic touches, thoughtful amenities, and a charming porch to watch the sun set while the evening air cools. This all-inclusive health resort also features a luxury spa with over 40 fitness classes each day, top wellness experts, and body treatments that will melt away your stress. Dine in style with delicious and nutritious cuisine that is served up at every meal. Because the entrees are included in your stay prices do not appear on your menu, but nutritional information does. This enables guests to tempt themselves with the lobster dish or cheesecake dessert, while still having a firm grasp on the nutritional values of each and every bite. Activities here are inspiring; hiking, biking and golf can be enjoyed as well as swimming, yoga, and cooking and spiritual awareness classes. Canyon Ranch Tucson wants to create an environment where you can balance the health and happiness of both the mind and body in every aspect of your day. 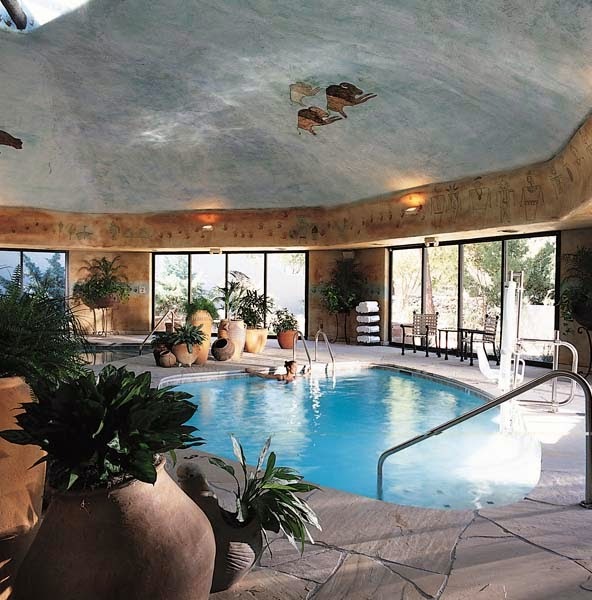 When booking your stay at Canyon Ranch Tucson across WhataHotel!, guests can discover Exclusive Complimentary Perks that are combinable with the full all-inclusive package for an exciting deal. These perks include room upgrades (subject to availability), and a $150 credit per guest or a $260+ credit for a stay of 5 nights or more. 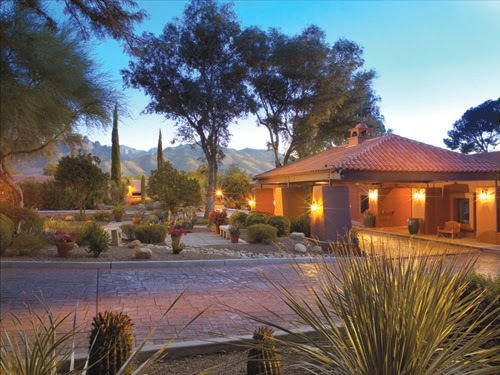 Live it up by spending time on more than 150 acres of the Sonoran Desert with nearby canyons and the towering Santa Catalina Mountains in the distance. This unique resort will tempt you to uncover your inner self while also appreciating the cultural and historical richness of this corner of the world. 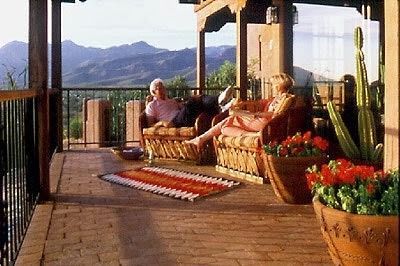 Canyon Ranch Tucson welcomes you to kick back and relax, or lace up your hiking boots for adventure. Whatever your purpose for a trip out west, this rustic chic resort salutes you with a healthy drink, phenomenal service and remarkable accommodations.